Polyaire manufacture an extensive range of Sheet Metal Cushion boxes to suit all Supply, Return, Relief and Exhaust applications. Construction is from Galvanised Steel or Zinc anneal in material thicknesses as specified. 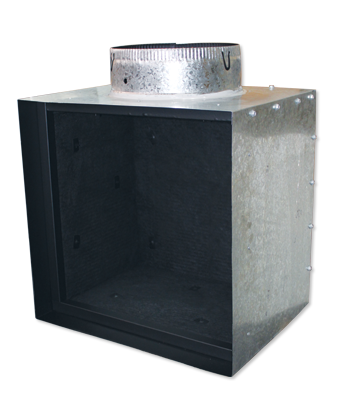 Uninsulated (Plain) Cushion Boxes are generally used for exhaust applications while insulated Cushion Boxes are used for Supply, Return and Transfer applications. Insulation requirements are application specific and include 6mm, 25mm and 50mm Polyester, Black Face or lined with Acoustic Sisalation. 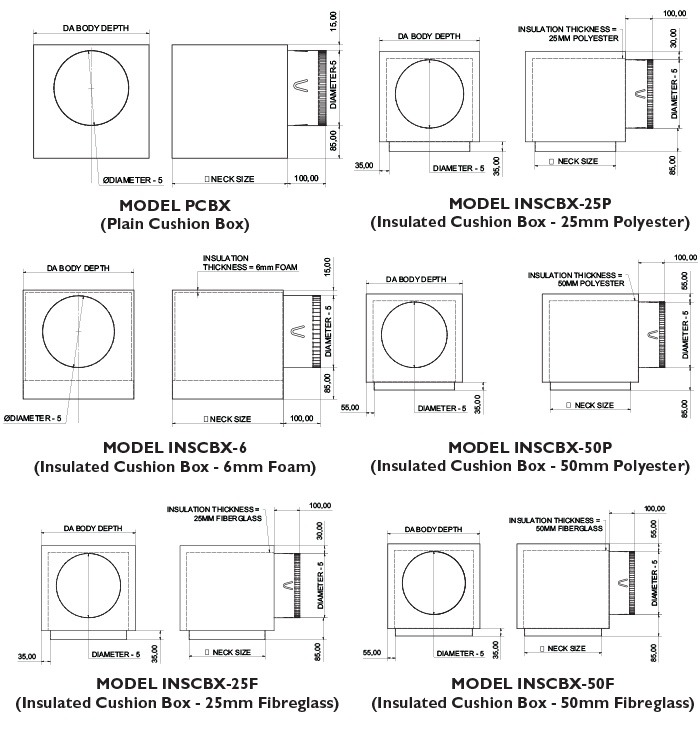 Cushion Boxes are manufactured to order in a wide range of sizes to accommodate the Diffuser, Register or Grille.